Today the Microsoft Exchange Product Team released the public Preview of Exchange Server 2016! See the announcement on the EHLO blog. 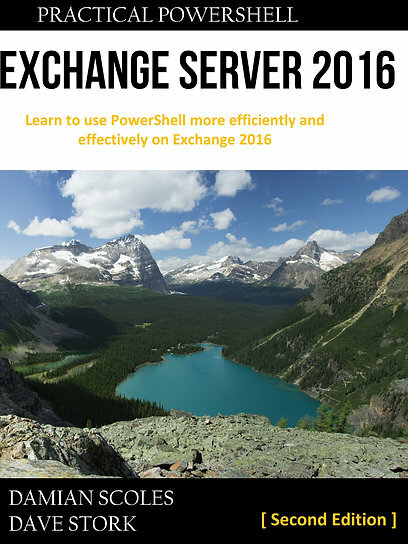 Now everybody can install, investigate and test the latest iteration of Exchange Server, which is part of the Wave 16 of all Office applications (such as Office 2016, Skype for Business, SharePoint 2016 etc.). Some of these features are already present in Office 365, others will be added in time. Note that this is a lower requirement as was announced during Ignite 2015 as well, during that event Windows Server 2012 R2 and Windows 10 (or Windows Server 2016) where the minimum. But this was before the release of Windows Server 2016 was delayed to early Calendar Year 2016. Storage of attachments can be performed on SharePoint Server 2016 or Office 365’s OneDrive for Business. At the time of writing no information was available about a Technical Preview/Beta release for the Office Web App Server 2016. Note that these requirements might change at the General Availability of Exchange Server 2016. They already have changed from what was announced during Ignite in Ross Smiths IV session (with a clear disclaimer that this might change). The bits can be downloaded here. At the same time (well, it was publicly accessible a few hours before this release 😉 ), the Exchange Product team also published the preliminary technical documentation on TechNet. You can find the TechNet documentation here. If you look at the link, you’ll see that the version part of the URL has (v=exchg.160) in it. I expect that corresponding articles from earlier versions of Exchange only differ in the version number and not article ID. But don’t assume. Check for other Exchange related sessions here.